Our Gymnasts in Dubai are highly experienced in gymnastics and acrobatics, and have been training and performing since a young age. As a result, competing in high end competitions and performing at large scale events. Also many of our artists have taught all around the world. 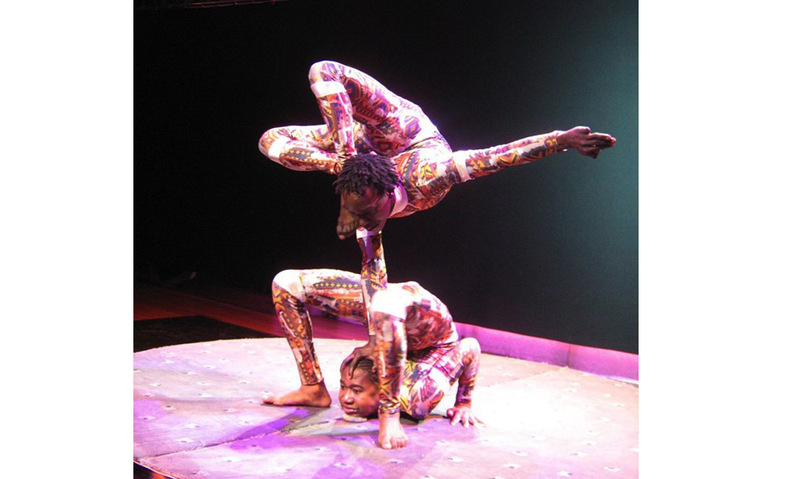 They can combine dance and aerial into their gymnastic routines, and can add an exciting touch to your event. Most of our Artists are trained in more than one gymnastic style. These include floor, rhythmic, tumbling and acrobatic. Almost all of our gymnasts have performed at the Olympics or with the circus. For a show to intrigue and excite your audience at events, our artists are the performers to book. The word Gymnastics is taken from the Greek adjective meaning ‘to train, to exercise’. Gymnastics is a sport involving the performance of exercises requiring strength, flexibility, balance and control. In order to develop through gymnastics, they need to learn self-confidence, self-discipline, alertness and precision. There are many types of Gymnastics. The main styles Pick Your Performer gymnasts are trained in, are floor, a routine consisting of tumbling passes, at least one without hand support. Also including jumps, leaps, dance elements, acrobatic skills, and turns, or pivots, on one foot. Rhythmic Gymnastics, a performance that includes elements of ballet, dance, gymnastics and apparatus, ball, ribbon, hoop, clubs and rope. Tumbling, a series of flips and twists performed on a sprung tumbling track. Acrobatic Gymnastics, groups of two, three and four gymnasts perform routines including their heads, hands and feet of their partners.